tretinoin , retin A , retinoic Acid. Excellent product. 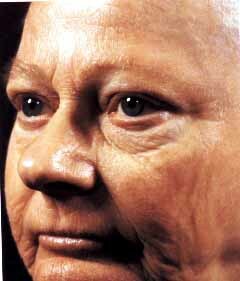 Used to have a better skin and for the treatment of acne. It is usually used added to minoxidil 5% for an application in the evening, to help to produce hair and to reduce the sebo production. Please, read also Remox (hair regrowth product with minoxidil 12.5%, Retin-A ® (marchio registrato) 0.025% and hydrocortisone 0.01%). The retinoic acid have an important role in growth of hair. The only use of retinoic acid has induced meaningful growth of hair. 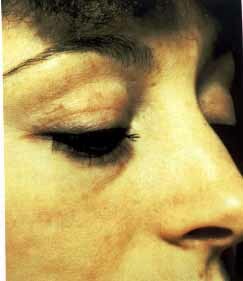 The combination between minoxidil + tretinoin seems to be very active in the treatment of female alopecies. Don’t use the product during pregnancy and nursing!! It is enough to use the combination minoxidil + retin once a day. It seems to be active for all the areas of the scalp. It is also possible to use the product alone, in cream or gel in particular for the frontal line. Besides scientific studies affirm that they increase the receptors of the epidermids’ factor of growth (EGF) of 7 times. The ameliorations continue a lot of time after the interruption of the use. The collateral effects of this medicine (irritated skin, increased absorption) are exalted by the direct solar exposure and by lamps making ultraviolet rays, by the wind, cold, as written on the illustrative leaflet of the products, so exposure have to be avoided absolutely. It is advisable to use a protective solar screen or to wear a cup. Oral and extra doses, like other products containing vitamin A, can determine fetal malformations. Analogous caution must be adopted, except if you have a medical prescription, by subjects who use products with resorcinole, salicilic acid and products with high concentration of alcohol, astringent, corticosteroid. Don't apply on inflamed, injured or abraded skin. Retin A has always been known because of its capacity to improve the results of Minoxidil. 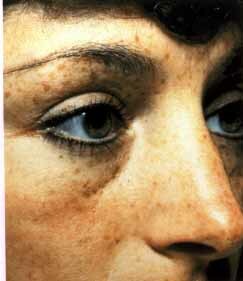 Retin-A ® (marchio registrato) is generally used for acne and scar and to improve skin condition. Using Retin-A ® (marchio registrato) premixed with Minoxidil or applying them separately can greatly improve the results of Minoxidil. Retin A (tretinoin or retinoic acid) purchased separately should be applied alone. Several doctors have recommended to apply Retin-A ® (marchio registrato), to wait 15 minutes or until the hair is dry and then to apply Minoxidil. Vitamin-A Acid (also known as tretinoin) was originally developed for the treatment of acne. 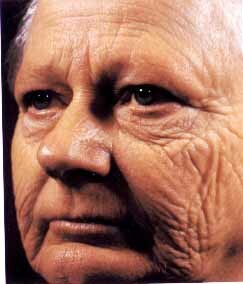 Nowadays it is known that a daily application of vitamin-A acid is useful to correct wrinkles and other sun damage. 0.025% of cream, from a recent study that showed that the 0.025% cream works as well as the higher strength creams, seems to cause less irritations. 0.1% cream for those having very oily skin - this can be quite irritating, so it is best to start with one of the milder creams, and then continue with a strength one if necessary. 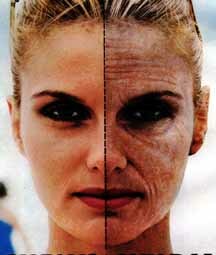 Sun exposure can make a big difference during the years: I often see people who look like the illustration on the right above -with sun protection and perhaps some Retin-A ® (marchio registrato)® it is possible to remain in good condition or restore our appearance to look like this illustration. The images above, taken during pre-marketing tests by manufacturers, are reasonable, achievable results. As it happens with every medicine - some people get better fast, other more slowly, other don’t have any results. Photos are very useful - a lot of people come appreciate the results when they saw the "before" picture. Once they see the improvement, they are motivated to stick with the treatment program and to protect their skin from sun damage. With vitamin A acid and sun protection few people improve so much their condition that they do not want or need face peels or laser treatment (for example CO2 laser or erbium-YAG).